League Chairman, Cyril Windiate, has announced he will be standing down at the June Annual General Meeting. Cyril has issued the following statement to member clubs and the website. For the past thirty five years I have been privileged to be League Chairman. Following a difficult couple of years personally, I advised my fellow Officers in December that I will not be seeking re-election at the forthcoming Annual General Meeting. Having been involved in football administration for some fifty two years it will certainly be a wrench but I hope to be of some use to this Competition for some time to come. That is now for others to decide. My colleagues are aware that whoever the member clubs appoint as my successor that person will be able to call on me for advice, or perhaps just a listening ear, should they wish to do so. It has been a great honour and privilege to work with many first class administrators and I firmly believe that despite numerous challenges we have jointly met them all head on. 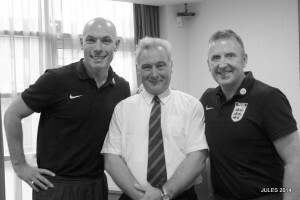 I have also been fortunate to have met a large number of really good club officials. Despite not always being flavour of the month with them at times, each one has known they would get a straight answer to any question and if I was unable to assist, then I would find someone that could. I regard them all as good friends today. I am now able to advise my wife and children of this difficult decision and thank them for being so understanding. In the foreseeable future I look forward to spending more time with them. 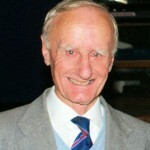 It is with the deepest sadness that we advise that William Miller, Secretary of Greenways FC, passed away on 7th March. Willie was a stalwart of both his club and the League. 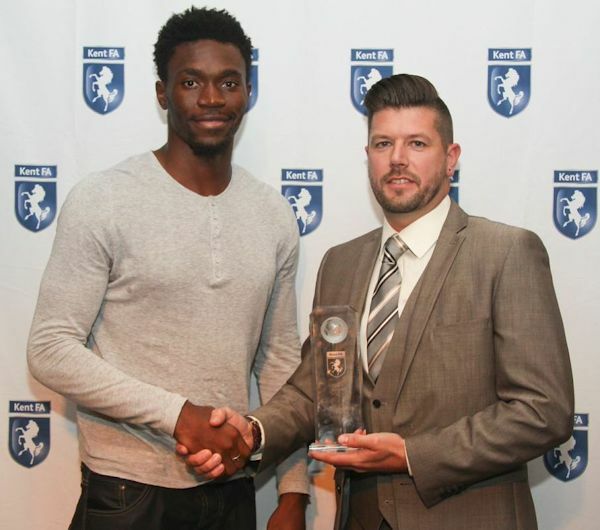 He was twice winner of the Secretary of the Year Award in 2007-08 and 2009-10, he was the League’s Personality of the Year in 2015 and in the same year he received a Long and Meritorious Service award from the Kent FA. Our deepest sympathies are extended to Willie’s family and friends at the very sad time. It has been announced that Tony Rana has been awarded a British Empire Medal in the New Year’s Honours List. Tony, a member of Guru Nanak Football Club since he was 15 years old, has undertaken every role from player to manager, coach to chairman, in the Sikh faith club which is renowned for bringing together players from all backgrounds. 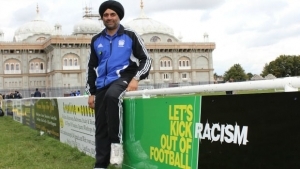 He has spent the last four years transferring the knowledge learnt at Guru Nanak FC to the whole county through the Equality Advisory Group, set up by the Kent FA. Now chairman of the group, he is proud of its achievements, but says it was still a surprise to find out he had been awarded a BEM for services to football and inclusion in Kent. “Three weeks ago I got a letter through the post via the FA,” he said. “I thought it was a prank, but I filled it in and sent it back thinking I’ll play along. Congratulations to Tony from all at thee Kent County League. It is with great sadness that we announce that Barry Goodsell our Fixture Officer for the Premier Division and the East & Central region passed away on 26th November 2016. 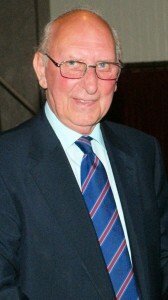 Before the two sections of the League were combined Barry served as Fixture Secretary from 1990 to 1995, in the then entitled, Eastern Region. In season 1994-95 he combined the office of ‘Fixture & Results Secretary and Referees Secretary’ in the Eastern Region. 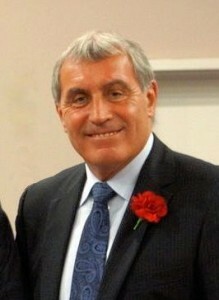 Following the decision in 1995 to streamline the competition and bring the whole League under a single Management Committee, Barry held the office of Fixture Secretary for the Premier Division and Eastern Sections and was also responsible with taking all results for Premier Division and Eastern Division matches until his untimely passing. He also served on the Emergency Appeals & Disciplinary Sub-Committee of the League. In 2015 Barry Goodsell received the Management Committee Long Service award for his dedicated service as an Officer of the League. Barry worked tirelessly for the enjoyment of others for twenty six years. Even in great adversity he undertook his duties when others would have given up and the family of football in Kent is the poorer for his passing. We have been advised that Barry’s funeral will be held at Bobbing Crematorium, Sheppey Way, Bobbing, Near Sittingbourne, Kent ME9 8GZ on Tuesday, 20th December at 3:00pm. At the League’s Annual Presentation Dinner in May, Jonathan Gage was named as the Assistant Referee of the Year for the 2015-16 season. Unfortunately Jonathan was unable to attend and collect his trophy on the night, so League Secretary, Gavin Hoare, caught up with Jonathan before his latest appointment on Saturday to present him with the shield and personal memento to record this achievement. Congratulations Jonathan! 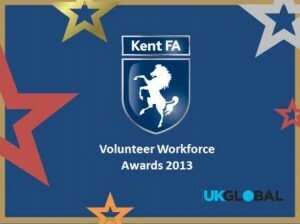 Two of our clubs featured in this week’s Kent FA Awards evening held at the Gallagher Stadium, Maidstone. Alan Black of Chipstead FC received the FA/McDonalds Outstanding Contribution to Community Football Award and Halls Athletic FC won the FA/McDonalds Charter Standard Development Club of the Year award. The awards were presented by former Dover and Gillingham boss Andy Hessenthaler. Congratulations to Alan and all at Halls AFC for this well deserved recognition. Our partners, the Kent Disability Football League, now have their season underway with both adult and junior tournament days. The KDFL Junior division started on 25th September at their regular venue at PlayFootball in Rainham. They have three divisions playing, Under 11, Under 13 and under 16’s. Before the games kicked off the Kent County League Marketing & Communications Officer, Philip Smith, made a presentation on behalf of the League, of two new playing kits. The League, supported by sponsors Andreas Carter Sports, have donated the kits are so that the KDFL can make teams up if clubs only have a couple of players in a particular age group, they will now all wear the kit same and look like a proper team! The League held its regular workshop for both secretaries from new clubs to the League and newly appointed secretaries. A number of League officials were in attendance to guide those present through the rules and procedures to ensure their clubs can run efficiently and avoid needless fines. The clubs attending included Parkwood Rangers FC, AFC Bexley, AEI Sports FC, Wateringbury FC, HFSP & Ten-Em-Bee, Burgess Hodgson FC, Sydenham Sports FC, Welling Town FC, K Sports FC, West Farleigh FC and Hawkinge Town FC. 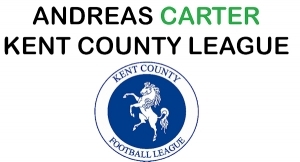 At the League’s AGM member clubs were advised that a new sponsorship agreement has been signed and with immediate effect the League will be known as the Andreas Carter Sports Joma Kent County League. Andreas Carter Sports supported by the International sportswear brand JOMA have agreed a three-year title sponsorship that will provide in excess of £40,000 in benefits to member clubs. Each team will receive a voucher to exchange for apparel, the JOMA Iceberg will be the official match ball of the Premier Division and the League’s long standing Fair Play awards will be sponsored to the value of £2,500 per season. Commenting on the new sponsorship, the League’s Chairman, Cyril Windiate, said “I am delighted that we have reached this agreement with Andreas Carter Sports. We are particularly indebted to their Managing Director, Jerry Carter, who is a long-time friend and supporter of the League and we are thrilled to be able to work even closer with him during this sponsorship. We are also very pleased that JOMA will be supporting the sponsorship. We are extremely proud of the fact that the League has had continuous title sponsorship since 1997 which has provided numerous benefits to our clubs over that time”. 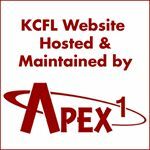 Jerry Carter stated “We work closely with several leagues across the country and are now entering our eighth season of involvement with the Kent County League. It is also confirmed that previous sponsor, NRG Gym, will continue their association with the Kent County League and will now sponsor the three league cups. The winners will be invited to receive their awards at the Kent FA Volunteer Workforce Awards evening, to be held in the autumn. 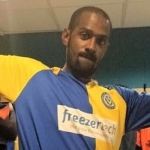 The League is saddened to hear the news of the death of Christon Sookoo, 27 years old, a first team player for Halls AFC. We send our sincere condolences to Chris’s family and friends and all at Halls AFC. Kent County League teams observed a minute’s silence prior to their games on Saturday (5th December) as a mark of respect for Chris. 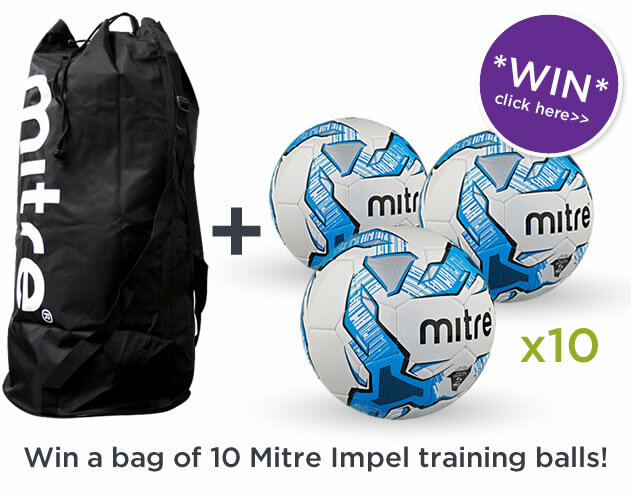 To celebrate the launch they are giving away two bags of 10 Mitre Impel training balls! You can enter for FREE via their Facebook page, just click here! 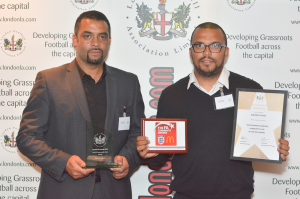 Dulwich Village FC scooped two awards at last week’s London FA 10th Annual Awards evening held at Wembley Stadium. 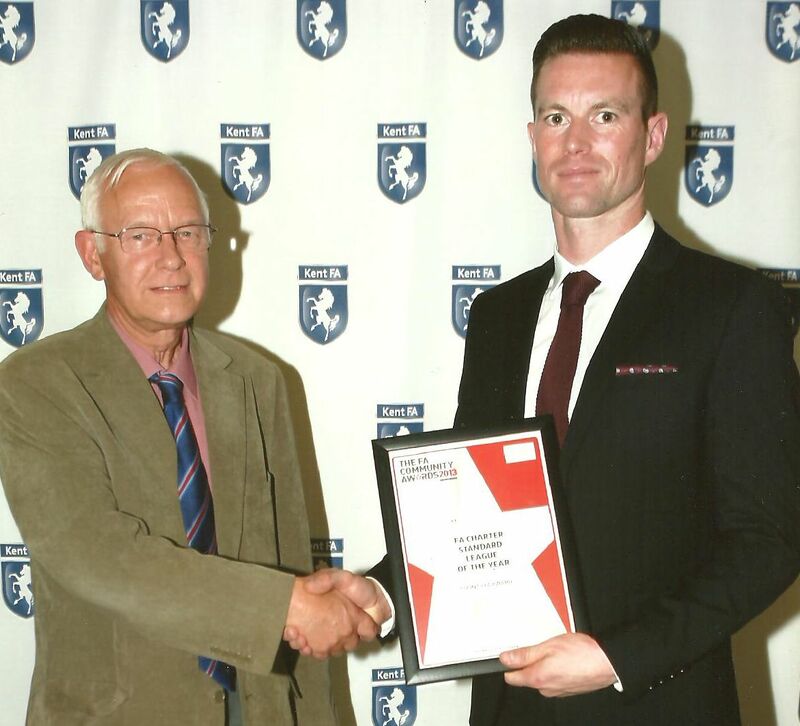 The club were awarded The London FA Charter Community Club of the Year Award 2015 and The FA Regional Charter Community Club of the Year Award 2015, their Club Secretary Daniel Mascoll received the Club Volunteer of the Year. Daniel commented “This was a very proud moment for the club and myself.” Congratulations to Daniel and all those at the Club for winning these prestigious awards. The League held its regular workshop for both secretaries from new clubs to the League and newly appointed secretaries. A number of League officials were in attendance to advise details of rules and procedures so that clubs can avoid breaching these and avoiding needless fines. The clubs attending included Ashford United FC, Nomads FC, Belvedere FC, South East Athletic FC, Larkfield & New Hythe Wanderers FC, Willesborough Atletic FC, Erith 147 Sports FC, University of Kent FC & Welling Park FC. partnership had been extended to cover the 2015-16 season. 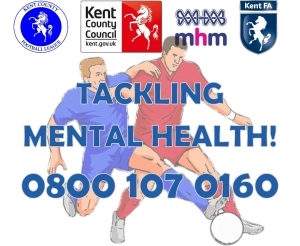 Three new partnerships were announced, the Kent County League has signed agreements with both the Kent Disability League and the East Kent Youth League, the principal aim being to co-operate on all matters for the benefit of the competitions and wider football matters. 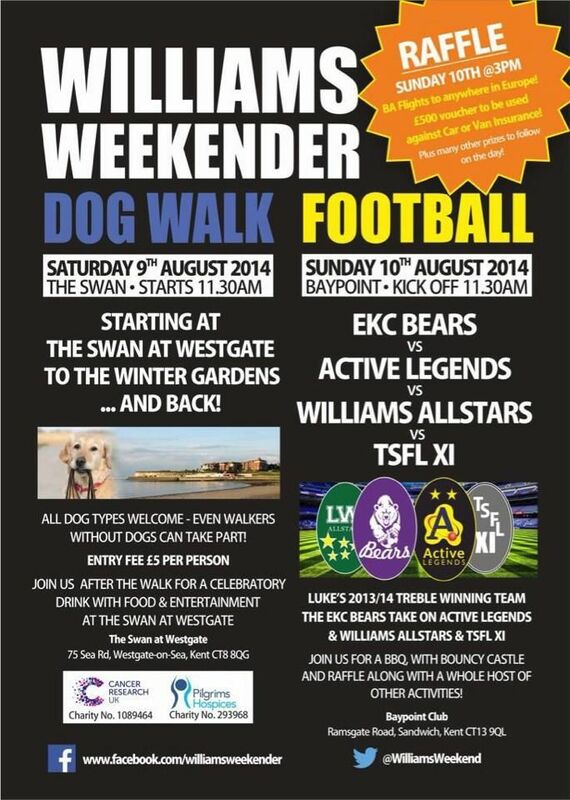 Further details of the meeting and our partnerships will appear here soon. Think of the Canary Islands and it’s Fuerteventura, Gran Canaria, Lanzarote and Tenerife that usually springs to most people’s mind. In fact the archipelago consists of eight islands, La Palma being the fifth largest. tells the story as to why La Palma remains such an unknown quantity to so few of us Brits. Being so undulating and with jagged peaks soaring skyward at every turn, football grounds on La Palma are by definition set amongst some of the most stunning scenery to be found anywhere in the world. In fact my two all-time favourite footballing venues are set upon the outcrop, those being CD Mensajero and SD Tenisca, both located in the island’s capital, Santa Cruz. 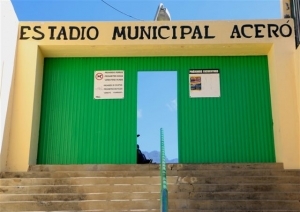 Before our recent week’s holiday (this was actually to be my wife and my third visit to La Palma), I’d been lucky enough to take in matches at seven La Palman venues, the one glaring omission on my part being not to have visited UD Los Llanos de Aridane’s (LP’s second town) Estadio Municipal Acero.However, fate would deign my luck in that department was about to change. The Preferente section, Spain’s fifth footballing tier, is for financial reasons regarding distances and travelling times between islands, split into two geographical sections. The respective winners of the Tenerife-La Gomera-La Palma and Gran Canaria-Fuerteventua-Lanzarote leagues attain automatic promotion to Division Three. Two more promotion berths are then up for grabs. To confuse matters, La Palma contests it’s very own short season, due in no small part to the paucity of clubs (many have folded during the recent economic downturn) that number only ten in total. Those clubs’ short season started back in December, culminating in protracted play-offs, eventually producing one promotion candidate. UD Los Llanos de Aridane had battled through, winning their island level play-off phase, drawing Tenerife club CD Raqui San Isidro in Round One of the promotion phase proper. They were dispatched with aplomb over the course of the two-legged tie. Up next however were stronger opponents, in the form of UD Cruz Santa, also from Tenerife. The winners of that match would glean the third promotion place. On this occasion LL lost 3-2 on aggregate, thus setting up the very final match, versus Puerto del Rosario, from Fuerteventura: having finished runners up in their respective group, that club had had the luxury of a few weeks’ r&r as the other protagonists slugged it out amongst themselves. If all the above sounds terribly complicated, then that’s because it is! Apologies if I’ve not explained the process lucidly. Two one down after the first-leg on Fuerteventura, the second and deciding match that would provide the last remaining Third Division promotee, took place in Los Llanos de Aridane on Sunday 21st June, kicking-off at 12:30. Spare them a thought; this was to be the club’s twelfth (12th) play-off match during the course of the 2014/15 season. And we think it gets complicated in this country! 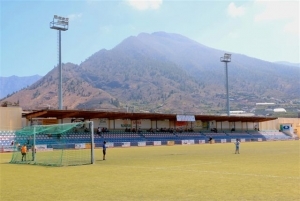 As is ever the case on La Palma, Los Llanos’ stadium boasts a mountainous backdrop, in this case the expansive caldera (volcanic rim) of the now-extinct Taburiente volcano. Away goals count double in all La Liga play-off encounters, so when the homesters took the lead on the half-hour mark they were effectively ‘up’. The majority of the 1,000+ crowd’s joyous celebrations lasted precisely three minutes, Puerto del Roario’s equaliser stunning the crowd into a deafening silence. That the Fuerteventuran’s didn’t manage another score remains a mystery, although goalkeeping of the highest order on the part of the homesters’ ‘stopper was pretty well wholly responsible for that. On the day, the better team came through, earning this relatively newly-formed club a coveted spot in Division Three. 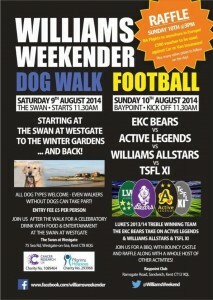 to the constitution from Bexley, FC Elmstead, Farnborough OBG, Meridian VP, Old Roan and Staplehurst United. Presentations were made to the Divisional Fair Play Award winners and the overall Fair Play trophy was shared for the first time ever by Kings Hill FC and New Romney FC. 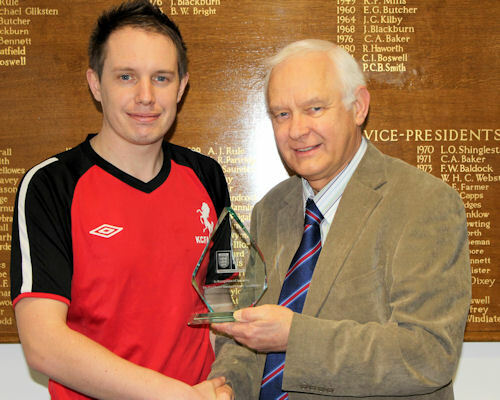 The Aford Awards Manager of the Year trophy was presented to Roy Davies of Metrogas FC. 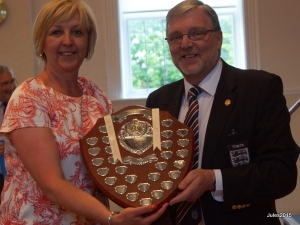 The Doreen Johnson Shield for Secretary of the Year was presented to Karen Adams of Rolvenden FC, all divisional winners each received an award. 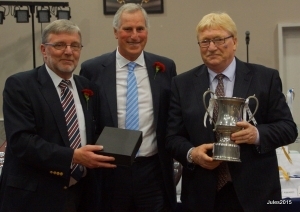 Fixture Secretary, Barry Goodsell received an award for 25 years’ service to the Kent County League. Scunthorpe United for the young lad from Skegness, and the way the game has changed occupied an entertaining hour. Clemence spent time signing autographs and having photos taken with guests as well as joining other guests to present trophies and awards. Willie Miller of Greenways was a popular winner of the Personality of The Year award. Keith Wenham looked very surprised to be named Referee of the Year, having overseen two other awards to fellow officials. Peter Wilson was named Most Promising Referee, while Darren Kavanagh was Assistant of the Year. Meanwhile Aford Awards have confirmed their involvement as trophy suppliers to the League for another season – 23 in total. Figures only include goals scored in League matches and in Inter-Regional Challenge Cup, Les Leckie Cup and West Kent Challenge Shield matches. Goal details are those entered or supplied by clubs. 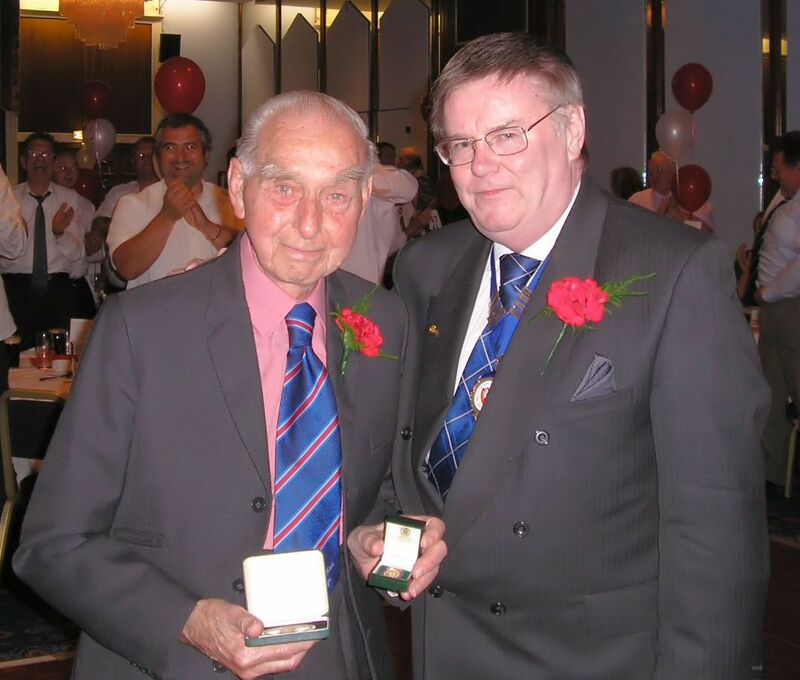 It is with sadness we report the death of James (Jim) Hampson, Club Secretary and Chairman of Erith 147 Sports. In addition to his club duties Jim was also the Secretary and Referees Secretary of the Bromley & District League. Jim’s funeral took place on Monday 17th November 2014 at Beckenham Crematorium. We are also saddened to hear of the recent passing of Selwyn Gauden. Selwyn was Secretary of Sturry FC when they were in the County League in the early 1990’s. He was a former Member of the Kent FA Council for Division 4, a lifelong referee and holder of the Association’s Order of Merit. Our sympathies are with the families and friends of both Jim and Selwyn. This year marks the start of the national commemorations of the centenary of the First World War. Football will be playing its part in these national commemorations through the Football Remembers project. 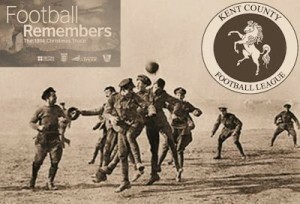 Football Remembers is a joint initiative between The Football League, The FA, Premier League and British Council. As part of Football Remembers there will be week of commemoration between 6th and 15th December in which The FA, Kent FA and NRG Gym Kent County Football League hopes that our clubs play a part. At matches that take place during this week we would like clubs to arrange for a joint team photo to be taken at the start of the match. The project’s intention is that players will be asked to stand next to an opposing player, echoing the photos soldiers took with German counterparts at the 1914 Christmas Truce. This photo can then be uploaded to social media and used to create a picture of football in 2014, 100 years on from the Great War on the football remembers website. Clubs in the Barclays Premier League, Sky Bet Football League and The FA Cup will be taking part over that week, and we are asking for images of football clubs in the NRG Gym Kent County League to sit alongside those of professional clubs. Further details as to how to clubs, players and volunteers can upload the photos will be advised later. Both KCL and teams from across the County paid tribute to Luke yesterday when they stood together as a group to take a moment to respect a young life, take a look at each other, respect the fact they are there to play the game and respect the game from that moment on and pay the greatest respect to a most tragic moment. The League asked for a photograph of this moment and many have been posted on Twitter using the Kent FA’s Respect #SetYourStall hashtag to celebrate Luke’s life and pay their respects. As Kent’s largest adult grass roots Football League we work tirelessly to bring the very best products and services to our clubs. Many of you will be aware of the MyClubPro product due to their August launch in partnership with the Kent FA, the first product of its kind to be endorsed by a County FA. 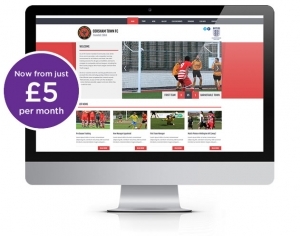 If this is the first you are hearing of the product, simply explained it provides clubs with a professional website for a low cost monthly or yearly subscription with additional discounts for Charter Standard clubs. Your website is customised with your club colour scheme/badge, and placed on your domain name i.e. www.yourclubfc.co.uk and if you don’t have a domain name MyClubPro will provide one free of charge as part of the service. Our partnership with MyClubPro brings with it an exclusive first year discount only available to our clubs. Any KCFL club to sign up before 21st November 2014 will receive 3 months subscription free of charge (a saving of £54). 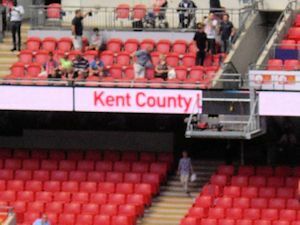 “After launching our product in our home county with a great partner in the Kent FA the next logical step was to look for a league that could become the flagship league for our product. We did not have to look too hard, the Kent County Football League were the standout choice, terrifically organised and proactive with every club holding Charter Standard affiliation. Our vision is for every club in one league to be using MyClubPro to provide their website. This would set an example to clubs all over the country that they can have a professional website that contains absolutely no third party advertising for less than a mobile phone contract! For clubs concerned about the cost of the product one great feature in MyClubPro is the option to display a website sponsor that is featured throughout the site; many clubs already using the product sell this space to cover the costs of their new website. “We are delighted to have established this partnership with MyClubPro as we are fully aware of their involvement and commitment to grassroots football. As with all our initiatives the purpose is to assist our members in the running and sustainability of their clubs and we believe this MyClubPro meets this objective. 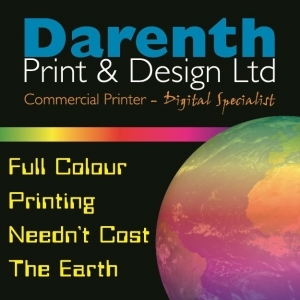 As many of you will know in recent years there have not been an abundance of website options for grass roots Football clubs beyond paying a lot of money to a web design company or utilising one of the free sites. The problem with the latter is you end up with a cluttered website where the main emphasis is placed on the advertising rather than a site dedicated to your club. We share the MyClubPro ethos that clubs at any level should have the option of a professional website, and their low cost subscription is a small price to pay. Luke’s funeral was held on Tuesday 21st October at Holy Trinity Church, Northdown, Margate. 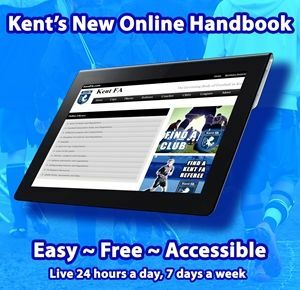 The Kent FA have today launched their online library that replaces the traditional printed handbook. Kent FA Chief Executive Paul Dolan said “We listened to our key stakeholders and considered all our options including potential data protection and safeguarding challenges. With this in mind we have created an online library where our volunteer workforce can access important documents on the go, 24/7, via a number of devices”. The online resource is free of charge and unlike the traditional paper version of the handbook; it can be updated throughout the season. The resource is also supported by a ‘Find a Referee’ and ‘Find a Club’ tool which provides up to date contact details for referee and club secretaries. 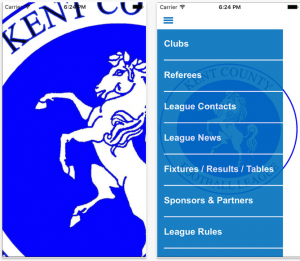 Click here to explore the new Kent FA Online Library. The League recently held a workshop for new Secretaries and Secretaries from new clubs in the League. The workshop was led by General Secretary, Gavin Hoare and he was assisted by the Discipline Officer, Peter Martin. League Vice President, Philip Smith was on hand to welcome the representatives from Oaks & Junior Red Seniors, Rolvenden, Johnson & Phillips, Lewisham Athletic, New Park, South Darenth, APM Contrast and Kings Hill. Those present were advised on the administrative workings of the League as part of the League’s commitment to assisting in club development. 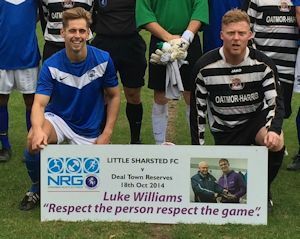 Joint manager of treble winning East Kent College Luke Williams was diagnosed with cancer of the mouth on his 28th Birthday, June 2013 – he underwent major surgery which saw half his tongue removed and replaced with skin grafted from his wrist. After a 6 week chemotherapy and radio therapy treatment programme, it was hoped the worst was behind him. Unfortunately after months of pain, the doctor/specialist finally allowed him to have a CT scan and secondary cancer was identified in the lungs. Luke was immediately put onto a very intense chemotherapy treatment which made him extremely ill. After further consultation with his specialist it was agreed that Luke should be able to enjoy a certain quality of life rather than endure the pain and grief the treatment would inevitably cause all for what could be just a few extra months. Luke is not one to take this unbelievably sad news to heart and is now determined to live out his life in the best possible fashion. His friends and loved ones have shared the thought of hosting a benefit weekend which would raise money that could financially contribute to Luke completing his ‘Bucket List’. Luke would not agree for this to happen unless he was able to contribute some of the proceedings to charity and he has aptly chosen Cancer Research UK and The Pilgrims Hospices. Luke’s condition is rarely seen in a person of his age, gender and overall level of fitness so he is determined to assist the charities research in any way possible in the hope that one day this illness can be beaten for good. Many of Luke’s friends and family have also experienced cancer in one form or another, either through being diagnosed themselves or knowing someone who has suffered with it and therefore Cancer Research UK is a charity close to many of our hearts. 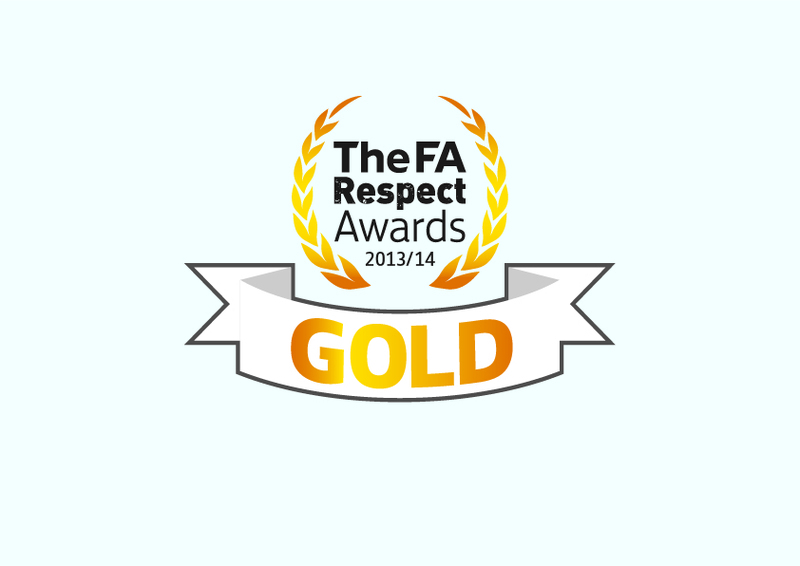 The Kent County Football is extremely proud to announce that they have been named as a national winner in the FA Respect Awards receiving the Gold Award in the category of National League System League Steps 5-7. This follows on from the Silver Award received in 2012. 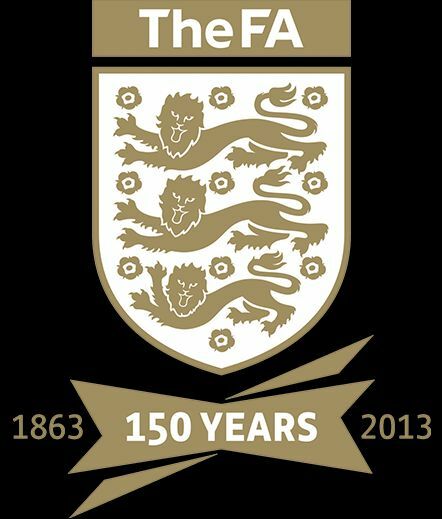 In a letter from the FA Chairman, Greg Dyke, he states “This award recognises your exceptional work to offer an experience of football which is fair, safe and enjoyable. This award recognises the standards that you have set and maintained in your competition and I am delighted that The FA has had an opportunity to reward you for your commitment and energy”. The League formally received the award at Wembley Stadium at the Community Shield match on Sunday, 10th August 2014. Although the League have fully embraced the Respect programme they initiated their own Fair Play Awards back in 1990 and adopted the motto “Fair Play – We Lead the Way”! 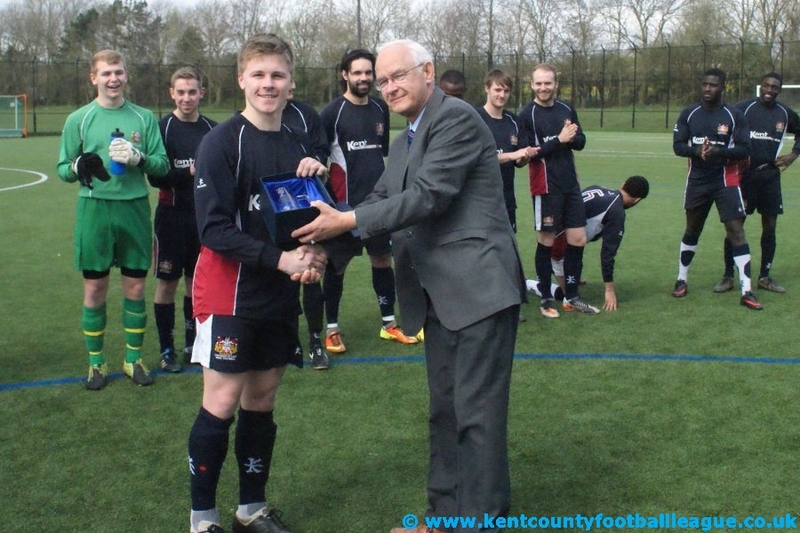 The Fair Play Trophy has proved a great success and University of Kent FC have won the trophy on six occasions, they were also one of the founder members of the Under 21 League. The latest Fair Play winners are Faversham Strike Force FC who received the trophy and prize money totalling £700.00 at the League’s AGM. Their delighted team manager, John Goodwin said “We are over the moon and this demonstrates the structure and processes the club have in place to ensure players and officials conduct themselves in an acceptable manner on and off the pitch”. All Kent County Football League matches commence with the Respect Handshake and our Referees undertake Respect training. Among recent comments from referees after matches are “What a superb game. Great advert for Kent County League Division 2 football” and “A really good game of football, played in a very sporting manner”. Prior to receiving the award a team from the League visited the Best Western Hotel in Watford recently to meet up with a film crew from the FA’s media department. Some time was spent with them to film a segment for the FA’s respect awards ceremony. The results of this work went out on the big screens at Wembley. The film is shown below and covers the award winners from Steps 1 to 4 as well as the Kent County League as Step 5-7 winners. 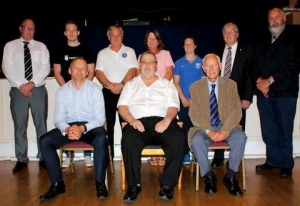 Those attending were League Chairman, Cyril Windiate, League Secretary and League Photographer Gavin & Julie Hoare. Referees were represented by Keith Wenham and our Clubs were represented by Fabio Rossi from FC Elmstead. We thank them for their time and thespian efforts in front of the camera! 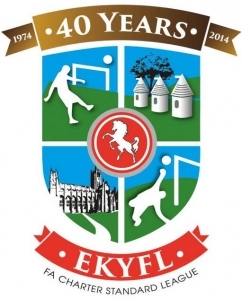 It is with great sadness that the League advises the death of Life Vice President Eddie Burvill. 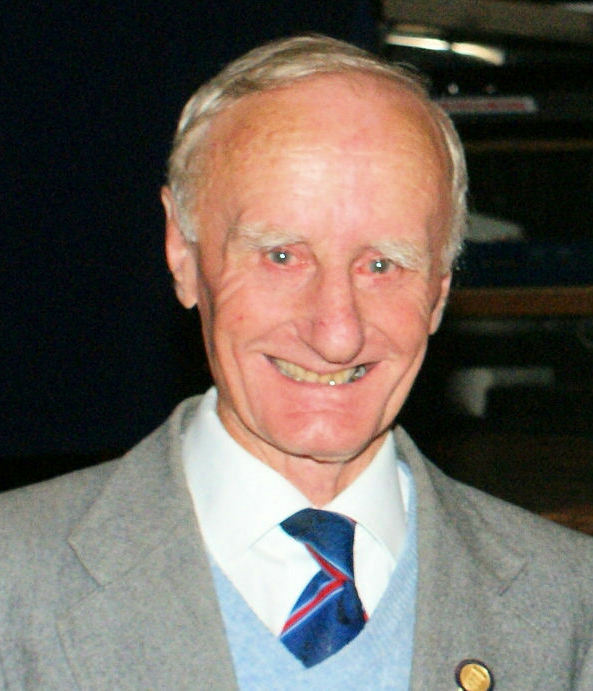 Eddie first joined the Kent Amateur League (Eastern Section) as a Club delegate in 1954 and remained part of the League ever since. He first held an Officers position in 1974 as Assistant Secretary, a position he held until 1979. He then took over as Secretary for one season to then, in the next season, become Registration Secretary. He continued as Eastern Section Registration Secretary when the League combined in 1995, a position he relinquished in 2012. 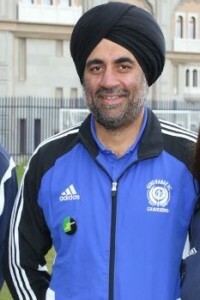 Eddie was awarded the League Personality of the Year in 2004. He, along with Ted Maycock, formed the Hythe Sunday Morning League (now the Hythe Folkestone & District Sunday League) in 1966 and he remained involved with that League throughout, latterly being their President. 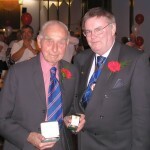 Eddie’s services to football were rightly recognised by The Football Association in 2006 when he received their 50 Year Long Service Award from Leader of FA Council Barry Bright at the League’s Annual Dinner. Eddie will be missed by many in football, he was both a gentle man and a gentleman! which will be split between: the Rotary Ward, William Harvey Hospital, Ashford and the Pilgrims Hospice, Ashford. The League held their Annual General Meeting on 11th June and it was announced that NRG GYM, who successfully sponsored the Under 21 division last season, will become the League’s headline sponsor for 2014-15. The League now enter their 26th season with just six headline sponsors in that time and we look forward to working with NRG GYM this coming season. The League’s Teamwear Partner, Andreas-Carter Sports were in attendance. Managing Director Jerry Carter advised the meeting that his company would soon be opening premises at Welling and he was looking forward to working with existing and new clubs in the future. The League’s Fair Play awards were presented and seven clubs received cheques, the overall Fair Play winner was Faversham Strike Force FC who received a trophy and prize money totaling £700. The AFORD AWARDS Manager of the year was announced and trophies were presented to Luke Williams and Liam Morris of East Kent College. Their club played a total of 28 League and Cup qualifying matches during the season losing just one. 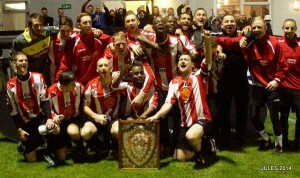 The won a League title, League cup and added a County FA cup as well! The Secretary of the Year awards were presented and the overall winner was Richard Chesson of Little Sharsted who was presented with the Doreen Johnson Memorial Shield. Ten new teams were welcomed to the League. These are new clubs Crayford Arrows, Johnson & Phillips, Kingfisher Glory, Kings Hill, Lewisham Athletic, Rolvenden and Yalding & Laddingford together with new teams East Kent College Reserves, Halls AFC Reserves and Snodland Town Reserves. The constitution for for 2014/15 can be found by clicking here. Shilton OBE, were at the Mercure Maidstone Hotel, for the Kent County League Annual Presentation Dinner and Cabaret. Peter Shilton entertained the guests by telling them of his early days in football, his experiences with Nottingham Forest and with manager Brian Clough when winning two European Cup Finals, his England career which included three World Cups and he spoke of the infamous “Hand of God” goal from Maradonna. sponsor haart, Peter Symons, Nick Brook and Dane Edwards from NRG Gym sponsors of the U21 League, plus Jerry Carter and Bob Jobes from our Teamwear Partner Andreas-Carter Sports. The League’s Personality of the Year, Adam Luscombe, of Platt United received his trophy from Peter Shilton. 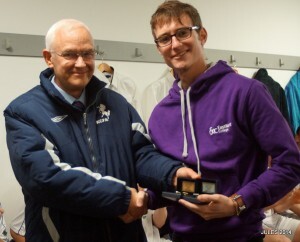 Adam also received a League Long Service Award which was presented by League Chairman Cyril Windiate. Referee awards were presented. Derek Peck received a Referee’s Long Service Award, Harry Phillips was named as the Most Promising Referee of the season and the League’s Referee of the Year is Martyn Staveley who collected the award for the fifth time! For the first time our Goal Scorer awards were presented, each divisional highest scorer received an award and the overall sharpshooter of the year, Daniel Bradshaw of Sheppey & Sheerness United received his trophy. All League and Cup winners and runners-up received their trophies and medals. League Photographer, Julie Hoare, was on hand to record the event and her photographs are shown in the gallery below. long and exhausting week of interviews with some excellent applicants we are pleased to announce that we have appointed Gary Lisney as our 1st Team Manager, he will be assisted by Chris Hollidge as 1st Team Coach. We have also appointed Mark Murison, who has recently finished playing for Whitsable Town, as Manager for our NRG GYM U21 League setup, we are extremely lucky to have gained the services of Gary, Chris, and Mark, and we are all keen and eager to start planning for the coming season”. It is with great sadness we report that Les Hill, former long time Club Secretary of Orpington Football Club, has passed away. Les had been club secretary of Orpington FC for over 25 years and a member of the club for nearly 40 years. Les’s funeral will take place at Beckenham Crematorium on Friday, 2nd May. Sheppey & Sheerness United won the Kent Air Ambulance Intermediate Challenge Shield at Faversham Town FC on Saturday evening, defeating Long Lane FC from Division One West by 3 goals to 1. Sheppey took an early two goal lead through Ricky Whiting and Baff Addae. Late in the second half Lee Wilton pulled one back for Long Lane but the could not push on for an equaliser as a second goal from Baff Addae, a fine individual effort, saw the Islander’s home. 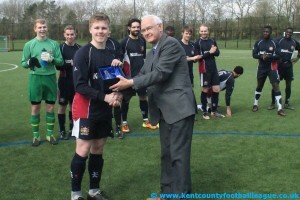 The inaugural NRG Gyms Under 21 League has been won be the University of Kent Under 21’s. On Saturday they played Soccer Elite FA in a double header, the first game resulted in a 4-3 win and the second finished 2-1 to give them an unassailable lead in the division. 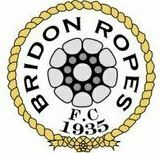 The University complete their fixtures on Monday, 7th April against Bridon Ropes Under 21 at Parkwood, Canterbury. Before the first game League Chairman, Cyril Windiate, presented the NRG Gyms March Manager of the Month Award to James Fox, the player manager of the University Under 21 team. The season will end with the winner of each division having a play off to determine the overall league champions. It is possible a cup competition will be introduced and there is the possibility of an Under 21 representative match against another Under 21 league. The League will be looking to work with all the member clubs to ensure that this competition expands and offers the clubs the opportunity to retain, sustain and develop their young players. The Kent County Football League were last night named as the FA Charter Standard League of the Year at the Kent FA Volunteer Workforce Awards Ceremony, in addition the League were also named as the FA South East Regional Charter Standard League winners. 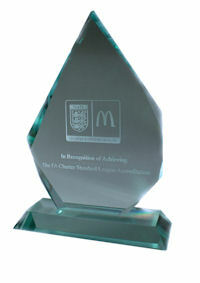 As the FA South East Regional winners the League was highlighted at the FA Community Shield in August. The Kent County League were the first adult Saturday league in Kent to achieve the FA Charter Standard and the award is a recognition of all our clubs efforts to meet the standard required. The League were praised for the League Development Plans submitted to the FA and the various initiatives which include the sponsorship of Level 2 Coaching Courses, First Aid Courses and kits, substitute bibs and the formation of the Under 21 division. The award was presented by Gillingham FC goalkeeper Stuart Nelson and received by League Chairman Cyril Windiate who commented “We will shortly be entering our 24th consecutive season of recognising and rewarding clubs who meet disciplinary standards and being an FA Respect League has given the league the means to target poor behaviour. With our main objective being to secure a better environment for all players, referees and spectators all such awards that recognise the enormous amount of time and effort put in by volunteers inspires everyone involved that loves our great game of football. The League’s motto, initiated in 1990, is ‘Fair Play We Lead the Way’ and we are committed to continuing to improve standards by creating a positive environment and experience for all”. Others winners on the night included Shelagh Marsh, Secretary of Deal Town Rangers FC, who received a Kent FA Volunteer Workforce Award. Tankerton FC from the NRG Gyms Under 21 Division received the FA Charter Standard Development Club Award and their Under 21 captain, Luke Baker received the FA Community Young Volunteer of the Year Award. HRH The Duke of Cambridge, in his official capacity as President of The Football Association, hosted a special event at Buckingham Palace on Monday 7 October to pay tribute to 150 volunteers that help deliver and support the nation’s favourite game. The volunteers have all been chosen for their outstanding contribution and service to football – which includes everything from helping to develop the women’s game, providing opportunities for disabled players, grassroots referees as well as club and league administrators. We would like to congratulate the following volunteers who received their medals and record their involvement with the Kent County League as part of the commitment to football. Peter Hunter – League Life Vice President. Peter has served on the Management Committee of the League for many years, a number as Vice Chairman and Chairman of the Emergency, Appeals and Disciplinary Sub Committee. Peter is a Life Member of both the Kent FA and Football Conference in recognition of his service to these bodies. manager, committee member and now as the current club chairman. The club have grown substantially to being the largest multicultural club in the UK. Tony is also Chair of the Kent FA Equality Advisory Group. 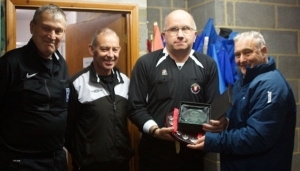 Ricky Adams – Ricky is a current level 4 referee and has been a member of the Kent County League Match Officials Panel together with assisting the League at Clubs Linesman workshops. In addition he has volunteered in a variety of capacities since joining the Kent FA’s Football Futures programme in 2011. He is also the chair of the Kent FA Youth Council. John Harvey – Maidstone United Community Chairman & Stadium Manager – We congratulate John on all his fine work. When the club reformed in 1993 they joined the Kent County League Division 4 as Maidstone Invicta FC and we are delighted to have been a part of their progress back to the higher levels of football. After the medal presentation ceremony the Buckingham Palace garden hosted its first ever football match, featuring two of the oldest amateur clubs in England. The game, which was an official Southern Amateur League fixture, was played between Civil Service FC, the sole surviving club from the XI that met to create The FA in 1863, and Polytechnic FC, which was formed in 1875. The result was a 2-1 win for Polytechnic. There is yet another connection as the Kent County League travel to Uxbridge next Saturday to play the Southern Amateur League in the First Round of the FA Inter-League Cup! It has been brought to the League’s notice that a twitter account has been set up that purports to be the account of Lloyd Bradley, the manager of Stansfeld O&B Club. This is a fake account and is in process of being investigated and closed. In the meantime please note that any comments posted are not from Lloyd. It is perhaps timely to issue a reminder that all participants, which includes clubs, club officials, players and match officials, can be held responsible for comments made on social networking sites, club websites, club programmes any similar publications. Comments which are improper, which bring the game into disrepute, which are threatening, abusive, indecent or insulting. Comments about match officials which imply bias, attack the officials’ integrity or which are personally offensive in nature. Participants are deemed responsible for any postings on their account. The fact that a posting may have been made by a third party will not necessarily prevent disciplinary action being taken. In addition, re-tweeting another person’s posting may lead to disciplinary action if the original comment was improper. 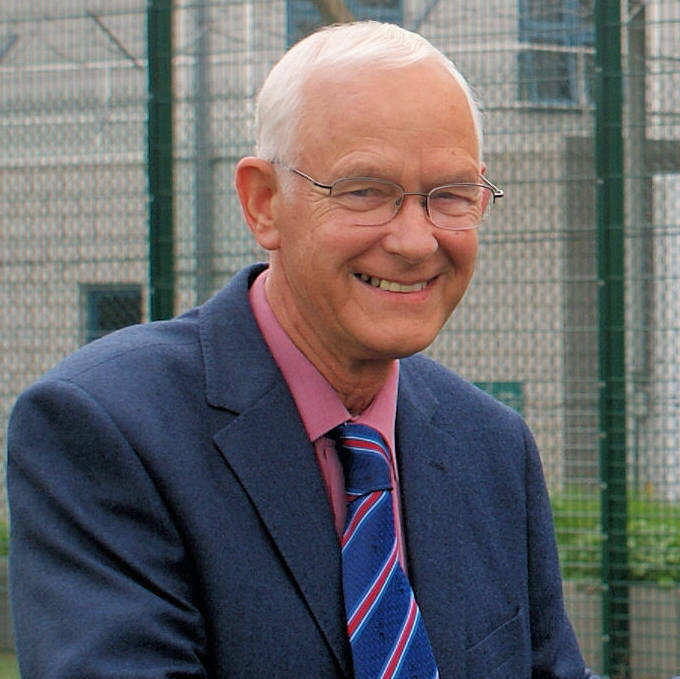 The League President, Eddie Diplock, has been awarded a Torch Trust Trophy in recognition of his voluntary service to football. Eddie, who was nominated by the Football Association, received the award from His Royal Highness the Duke of Kent at a reception in London. Eddie joined Sevenoaks Town FC in 1946 and became Secretary in 1953, a position he continues today. As well as his Kent County League role he is President of the Sevenoaks & District League and Sevenoaks Charity Cup. He is a Kent FA Order of Merit holder and has received long services awards from both the Kent FA and the Football Association. 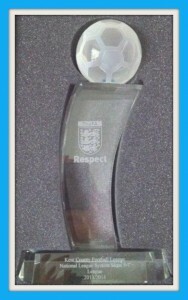 The haart of Kent County League is delighted to announce they have won a Silver Award in the FA Respect Awards 2011/12. The Silver Reward recognises an outstanding contribution to the promotion of Respect at a regional level. These leagues will have been judged exceptional in their contribution to promoting Respect in their league. 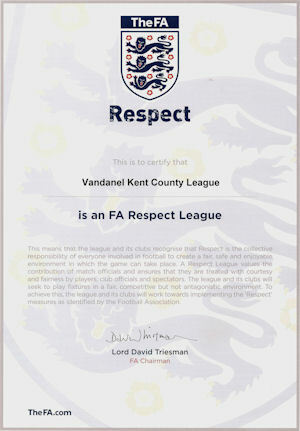 The Kent County League which started its own Fair Play Awards in 1990 continue to support and promote the Respect programme through all its member clubs and is honoured to have received this recognition. League Chairman and the Leagues Coordinator Cyril Windiate was presented with the award by Kent FA’s Lee Suter at the Association’s Invicta House in Aylesford, on Monday 28th February. “This is a very prestigious and much coveted award and is fantastic news for the League in all respects,” said Cyril Windiate. “To gain these awards is a team effort and my personal thanks are extended to all of the Club volunteers and my fellow Officers who have in their own ways played a part in bringing this aim to reality. Our partnership with the County FA has been invaluable and without their encouragement, support, and advice the award would have taken longer to achieve. We are proud to be associated with personnel who care about our great game. The Kent County League has always been a forward thinking League. We have a strong relationship with our members and partners and can now move forward with great optimism to the future development of our clubs as we continue to offer courses to aid the development of their volunteer workforce. The League is delighted to announce they have received confirmation from the Football Association in being awarded FA Charter Standard League Status. 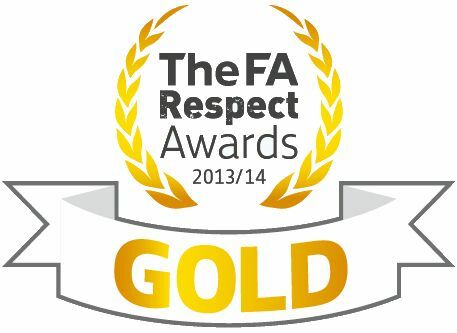 “This is a very prestigious and much coveted award and is fantastic news for the League in all respects. To gain these awards is a team effort and my personal thanks are extended to all of the Club volunteers and my fellow Officers who have in their own ways played a part in bringing this aim to reality.